Health and Safety Systems tailored to your business. 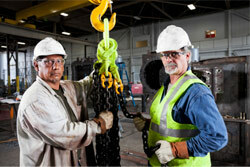 NorthSafe are trusted occupational health and safety management specialists based in Whangarei. Our friendly team are able to create and manage workplace health and safety documents. We support clients from Warkworth through to the Far North. We provide fully tailored health and safety management plans for the small to medium business market, with an emphasis on transparent pricing and exceptional professional standards. With over 20 years of experience in their industry, Northsafe is one of Northland’s most trusted providers of health and safety systems in the workplace.